Students in the second cohort of the Orthopaedic Regulatory and Clinical Affairs (ORCA) graduate program at Grace College, Winona Lake, Ind., are slated to graduate on May 11, 2013. Twenty-four ORCA students will receive their degrees in the college’s annual commencement ceremony after completing a rigorous year of study in twelve courses designed by and for professionals in the orthopaedic industry. This graduate program is targeted to professionals who desire a thorough knowledge of the laws and regulations mandated by the federal government, especially the FDA, as they apply to the development, testing approval, manufacturing, and commercialization of orthopaedic products. 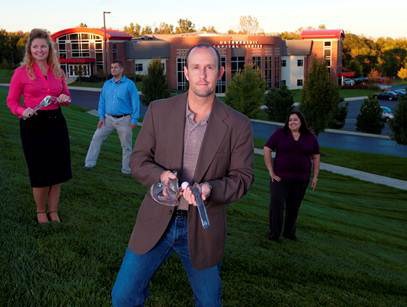 Grace College partnered with OrthoWorx to launch this program in 2011, and it has since enjoyed wide industry support. Of the 24 students enrolled this year, 15 are currently working in orthopaedic firms including Zimmer, DePuy-Synthes, and Stryker. Five students secured internships or permanent positions after starting the ORCA program. This year’s class joins the first cohort of 30 graduates. Grace College will accept applications until April 1, 2013, for the next cohort, which will begin in May of 2013. The program can also be delivered live to distance learners who cannot travel to Winona Lake. Program information and application materials can be accessed at www.grace.edu/orca. Grace College is a member of the North Central Association, and its programs are accredited by the Commission on Higher Learning.